Claire McMullan graduated from Queen’s University Belfast in 2004. She has been placing dental implants since 2007 and is dedicated to continual training and development in implant dentistry. Claire regularly attends conferences and events in the UK and abroad to develop techniques and keep up to date with the latest advances. 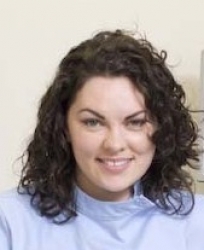 Patients just beginning to think about dental implant treatment may find it helpful to attend a complimentary preliminary consultation with Dr Claire McMullan, the implant dentist. This appointment includes a brief clinical examination and it only takes 15 minutes. The discussion will help you consider the options for treating your dental problems and decide whether to proceed to a full clinical consultation for implants. Once you have decided in principle that you want implant treatment, the next step is a full clinical consultation. This includes a comprehensive oral examination, and results in the production of a fully-costed individual plan for your treatment. If necessary a CT scan will be organised. You will advised if a CT scan is necessary at your initial free consultation. We also accept referrals for orthodontic treatment with Dr Robert Wallace BDS Dip Orth RCS (Eng). This enables us to treat combined cases where orthodontic treatment may be necessary prior to implant placement. We accept referrals for all types of cases related to implants. The referring dentist is kept fully informed of the patient’s treatment. Claire enjoys restoring implants, but is delighted to guide and support referring dentists who are interested in restoration. We regularly host implant restoration training evenings and study clubs to train and advise our referring dentists in all aspects of implant treatment. Dental 32 is a friendly, approachable practice offering comprehensive tailor-made treatments including dental implants and orthodontics. We aim to provide a professional service in a relaxed and comfortable environment. Our team is dedicated to offering an exceptional standard of care.